Often considered one of the most nutritious foods available, many people eat yogurt for its calcium-based factors, while others may use it as helpful for those who are lactose intolerant. However, did you know that certain yogurts are able to help you lose weight and belly fat as well? According to scientific research, yogurt is able to do more than strengthen bones; it can actually assist with burning fat, maintaining muscle strength, and protecting the metabolism. The only issue is to eat the types of yogurts that will help instead of just taste good. This article will provide information on the best yogurt for weight loss. Why Should I Eat Only Certain Yogurts? If evidence has found that yogurt can help with weight loss, then surely any yogurt should be able to assist with burning fat? This is good logic, but it is incorrect as not all types of yogurt are created equal – this is why there are full-fat and low-fat options. Depending on the diet you are following, you may wish to choose a high fat or a low or no-fat option. The full-fat yogurt option is more suited to those following a low carb diet; however, low-fat or non-fat versions may be more suitable for those on low calorie diets but check for sugar! It should be noted that all yogurts are filled with calcium and protein, so they are better breakfast options than sweetened cereals and just as quick to prepare and eat. Flavored yogurt options also tend to have more calories than the plain or unflavored counterparts. The most beneficial option is the Greek-style yogurt because this type is thicker, creamier, and filled with more protein. If you want flavor, try adding fruit to the plain yogurt but not too much or you will be defeating the removal of sugar. What Are The Types Of Yogurts Available? Of course, you can make your own yogurt and this may well be your best option for yogurt that you will like and eat. If making your own yogurt is not an option, then here are some commercial brands that you may wish to try. One of the most advantageous yogurt options to help with weight loss is the Icelandic-style non-fat yogurt, particularly the Siggi brand. This type of yogurt is similar to the Greek varieties increasing the protein content; therefore building up muscle and bone strength. The most popular option is the strained non-fat vanilla style which, contrary to popular belief, does not have any sugar and only 100 calories. The average price of one tub of Siggi’s non-fat yogurt is $1.50. Prices, of course can vary at different outlets and change over time. Not only is the Fage brand Greek yogurt creamier and more enjoyable than the non-fat or low-fat options, but the small amount of milk fat in the product allows the body to absorb any fat-soluble vitamins in the item. The 2% fat Greek yogurt variety presents with only 8 grams of sugar and 150 calories making it a good option for weight loss. Moreover, it is much purer than others offering milk, cream and proteins. The average price of one tub of Fage brand yogurt is $1.60. Prices, of course can vary at different outlets and change over time. Another Greek yogurt variety that is the best yogurt for weight loss is the Wallaby Greek yogurt brand. Not only is this brand the most widely accessible product, but it is a “middle of the road” alternative for individuals who enjoy the idea of extra milk fat in their yogurt while not committing to the calories of a full-fat product. The organic Greek low-fat option from Wallaby presents with 130 calories and only 4 grams of sugar. The average price of one tub of Wallaby brand yogurt is $1.60. Prices, of course can vary at different outlets and change over time. It is well known that all Greek yogurt varieties present with low sugar content and high protein levels, so they are considered the best yogurt for weight loss while strengthening muscles. The Chobani brand whole milk Green yogurt is made with full fat milk, however, this yogurt product has only 130 calories and 4 grams of sugar making it a good option if you want creamy yogurt without sugar. The average cost of a Chobani yogurt tub is $1.40. Prices, of course can vary at different outlets and change over time. 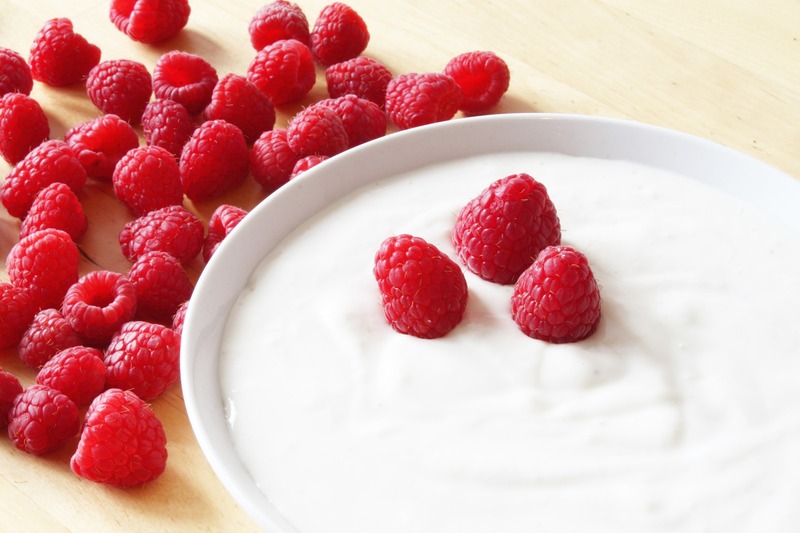 Some individuals cannot bear the taste of plain yogurt and need some taste to it; therefore, there are yogurt varieties that allow sweetness while still helping to reduce your waistline. One of the creamier options is the Dannon brand whole milk yogurt with vanilla flavoring. Containing vitamin D, this product is a sweet yogurt helping bone strengthening and protection. Unfortunately, it has high sugar content with 15 grams of sugar and 140 calories are making it a “now and then” option. The average price of this yogurt is $2.00 per tub. Prices, of course can vary at different outlets and change over time. There is some research to say that live yogurts, that is yogurts containing bio cultures of beneficial gut bacteria, can be helpful in weight loss. Yogurt is a healthy food, provided it does not contain much sugar and can help with weight loss, provided you choose the right kind to eat for the type of diet you use and your lifestyle.